​​NEW YORK, New York - With a host of top notch college players choosing to forego the lures of this year's NBA Draft, along with one of the most talented incoming freshmen classes in the last 25 years, next year's college hoops season promises to be special, packed with high quality basketball programs squaring off for the right to call themselves the 2017 National Champions. Conceivably, no fewer than 15 teams have a legitimate chance right now of not only reaching the Final Four, but of actually cutting down those nets when it is all said and done. In this series, we take a look at those teams, and highlight the reasons why each will program - and will not - win the title next season. Up first, the Duke Blue Devils. Most media outlets have already crowned Coach Mike Krzyzewski's Duke Blue Devils the team to beat in 2016-2017, and with good reason. 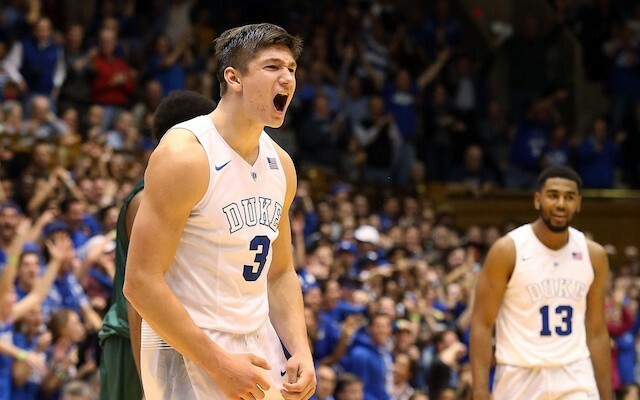 The Dukies, as they usually are, will be jam packed with talent next season, as they return SG Grayson Allen, PF Amile Jefferson, SG Luke Kennard, SG Matt Jones, and PF Chase Jeter. To go along with that mix of returning aptitude, Coach K is also bringing in the top-rated recruiting class, with SF Jayson Tatum, PF Harry Giles, SG Frank Jackson, PF Marques Bolden, PF Javin DeLaurier and SF Jack White. While Duke is no stranger to elite freshmen carrying the program to a national title - see 2015 - next season's roster will feature a well-balanced mixture of both upperclassmen leadership and underclassmen artistry. Why Duke Will Win It All: The Blue Devils will feature one of the deepest rosters in the country next season, which will include three players capable of winning the Wooden Award for National Player of the Year, in Allen, Tatum, and Giles. Coach K will have plenty of scoring options, and an incredible balance of perimeter shooting and wing play to go along with a solid interior presence. Opposing defenses will not be able to focus on stopping just one or two players, as the Blue Devils will be more than capable of beating teams in a variety of ways. With Allen coming back for his junior season, Duke has a returning premium scorer (21.6 ppg), with the ability to knock it down from the outside, or finish strong at the basket. With the loss of PG Derryck Thornton to a transfer, Allen may be relied upon to carry more of the ball handling and distribution role, which is fine, since Coach K has options. 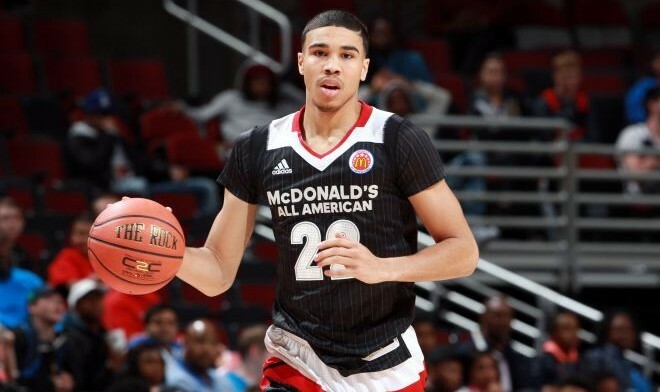 SF Jayson Tatum, ESPN’s #3 ranked recruit, will step right into the role previously held by Brandon Ingram, who is a projected top two pick in the upcoming NBA Draft. That role will include establishing the wing and either slashing to the basket or burying the three. 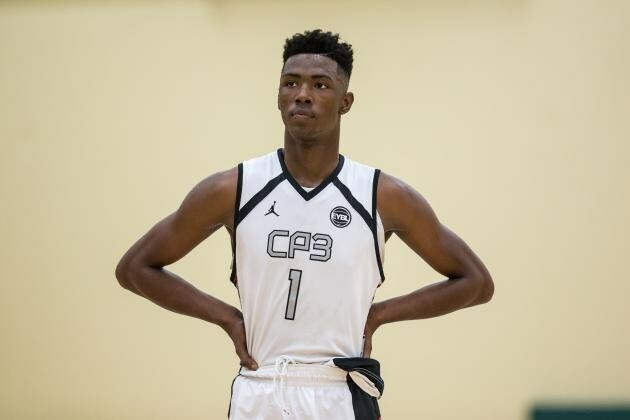 The ball can also be pounded inside to PF Harry Giles, whose combination of strength and athleticism will make him difficult to defend in the ACC. Giles is a phenomenal talent who has the ability to take over games on both ends of the floor. He is coming off of an ACL tear from last season, so that is an obvious concern (more on that in a bit). The Blue Devils should also be lights out from behind the arc, as Allen, Tatum, Jackson, Kennard and Jones are all sublime three point shooters. Defensively, Duke's athleticism and depth will be vital to their success, with a number of players capable of guarding two and three positions each. The backbone of it all will be returning fifth-year senior, Amile Jefferson, who will be able to focus on nothing more that defending the middle of the paint and rebounding. His passion and leadership will help to ignite the youngsters, and keep the upperclassmen motivated. It should be something special to watch. If anyone is capable of coaching a large collection of talent, it's Coach K. He has been marvelous in his efforts of guiding Team USA to gold medal after gold medal. Managing minutes and manipulating lineups to maximize value is a speciality of his, which keeps Duke sharp at all times on the floor. 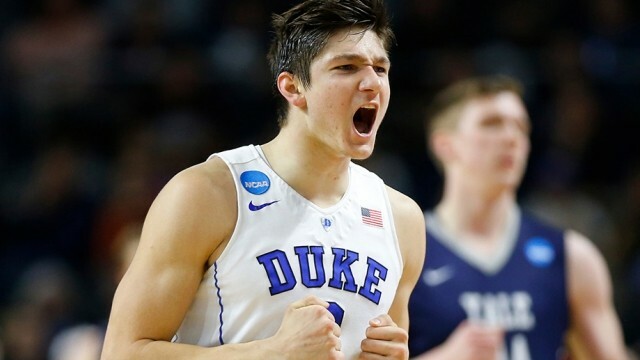 A title run from Duke will all come down to execution on the court, which should not be an issue considering the amount of talent and experience that will be on the floor for the Blue Devils at all times next season. Why Duke Will Not Win It All: Losing Derryck Thornton, believe it or not, hurts. He would have been the only true point guard on the roster next season. Although he struggled at times last year, and never truly found his precise role, you have to remember that he graduated high school early to join the Blue Devils. He was only supposed to be a high school senior last season, playing in gyms in front of family and friends, not at Cameron or the Dean Dome playing in front of thousands live, and millions on national TV. That year of experience, however, did him well, and in crunch time situations next season, Duke may miss his ball handling and facilitation abilities. The health of Harry Giles' knee is another concern. Giles missed his entire senior season after tearing his ACL in the first game of the year for Oak Hill Academy. It was his 2nd major knee injury in as many years. If healthy, Giles could be Duke's most talented player next season, and a strong candidate to be the #1 overall selection in the 2017 NBA Draft. So having him at 100% could be the difference between Duke being a very good team next season, and a great team next season. Team chemistry will also be a delicate issue for the Blue Devils. This is not a situation where an amazing recruiting class is just going to step on campus and be the backbone of the team. Duke has very talented upperclassmen returning who have been vital components of the program for a few years now. Intermingling the two appropriately will be essential to success. Sometimes the problem with too much talent is trying to afford enough minutes for everyone, while at the same time maintaining that cohesiveness and fluidity that all championship teams must have. It is quite difficult at times to establish that perfect rhythm through the course of a game with a 9-10 player rotation. But again, if anyone is capable of doing that seamlessly, it is Mike Krzyzewski.